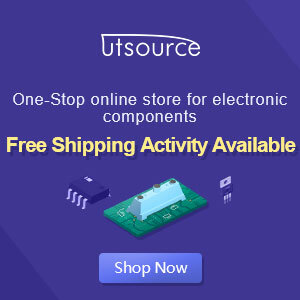 I always try to keep in mind when buying new electronics and electronic components that this year’s technology will sell at half the price this time next year. For this reason I have a hard time investing in the latest and greatest when it comes to technology and tend to remain exactly one generation behind the curve when buying new products. I like to save money whenever possible and in most cases my like of saving money outweighs my like of having new gadgets and gizmos at the high price they often command. I also have a nasty habit of keeping those products until they are no longer useful at all (I still have my little 13 inch television from my college dorm and I won’t tell you how long ago that was). I will keep it until it no longer works. It is currently being used in my television. I only mention this in order to convey the fact that making a sizeable investment in electronics in most cases is an investment that will last for quite some time unless you are one of those people who has to have the latest and greatest new tech toy each and every year. This is a great add on if you have an existing home theater in place and are considering an upgrade. I think that many people will find that the options this affords makes it well worth the investment that will be required in order to achieve. 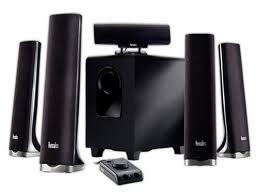 I strongly recommend however that you do not simply go online and buy the first set of wireless speakers and receiver that you find. This is a serious gamble, as you have no idea what kind of quality you will receive. The best possible recommendation is to make the rounds of local stores and listen to the various systems that are on the market. 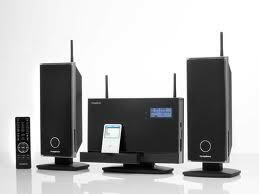 Once you’ve found the one wireless sound system that appeals most to you it is time to go online in order to compare prices. Once you’ve found the best price online you should then check your local stores and see if they offer a low price gurantee that will match the online price you found. This is a great way to find better deals and save a little money (by not paying shipping charges).